The thyroid gland is a small but mighty hormonal powerhouse. 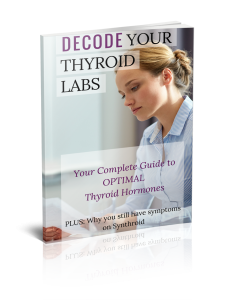 We usually think of the thyroid being related to energy and metabolism and while that’s certainly true, every cell in our body needs thyroid hormones. This means that low thyroid function can affect almost any body system and result in a long list of symptoms. If your thyroid isn’t working, nothing else seems to matter!